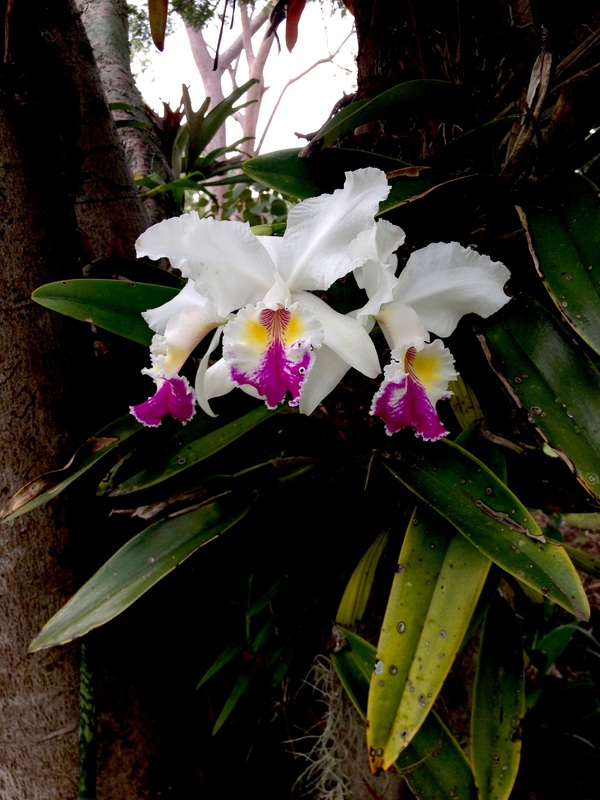 One of my proudest moment as a gardener is when my Cattleya trianae tipo ‘Baronessa blooms. I have several on a poinciana tree and the grey-green mid truck bursts into speckles of translucent white, dabbed with bright pink and golden centres. 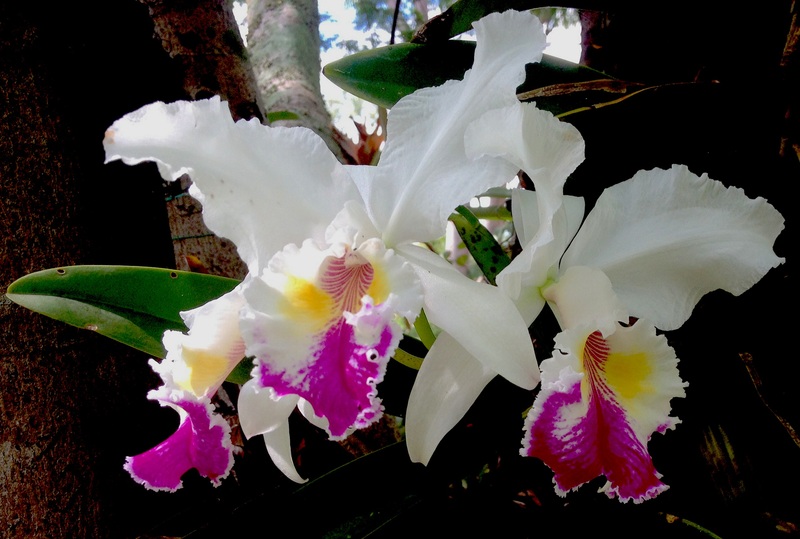 The Cattleya orchids tell me Autumn is here. The flowers remain for three and half to four weeks before they finally wilt. These pictures were taken by my niece Jaradeenah Danomira this morning. Beautiful. I can’t wait for flowers around here to pop up. They’re just beginning to poke through the earth now. You have spring don’t you? Thank you Sue. Yes, it’s spring now, but this winter was especially harsh, so it’s taking its sweet time flourishing. Yes – she has bloomed six times in three years. Love flowers so loved this one definitely. Hey,could you visit theeayieko.wordpress.com and share your thoughts?? Thank you very much and sure, I can visit. Absolutely lovely flower, Joycelin. The colours are beautiful – and your niece is a great photographer. If that flower doesn’t make one smile something is wrong indeed with that individual, just saying!